Wednesday Wanderings – Are you awkward? I’m awkward. I try not to be. Elizabeth Bennet: Do these pleasing attentions proceed from the impulse of the moment, or are they the result of previous study? This is a scene that happens over a family dinner in the movie with Kiera Knightley. It is notably one of the funniest moments in the film adaptation of a Jane Austen novel set in England in the 1800s. If you’ve never seen or read Pride and Prejudice – Mr. Collins is the cousin of Elizabeth Bennet’s father. Since Elizabeth’s father has no sons, Mr. Collins is next in line to inherit the estate that the Bennet family lives in. He comes to visit for dinner and is very obviously a ludicrous and socially awkward man who totally practices flirting with women in his bathroom mirror when alone. He is that family member that you try to avoid at reunions but they always find you and tell you about ‘back in ‘Nam’ and their aching, bum knee and other things you don’t care about. Does Mr. Collins have a point in some twisted way? Do we put a lot of undue pressure and focus on how ‘natural’ a conversation should flow? Especially during a meal? Is it weird to have conversation topics prepared when gathering over food so that the atmosphere doesn’t stale? It seems that I read all the time in those ubiquitous articles often titled, “15 Ways To Tell If He Is Your Soulmate” or some such garbage that one of the criterion for your ‘soulmate’ is the ease of conversation. Well, sure – the people you spend time with, eat meals with, and generally bond with should be easy to talk to. However – what if you see that person all the time? What if you’re a nervous weirdo like me and still freaks out about lulls in conversations with friends that you’ve known for years? What if the person you are dining with is just way too attractive to be human and your mouth becomes dry as a desert and all your can think about are all the weird YouTube dog videos your watch all day? Surely THAT topic is not sustainable throughout an entire meal! Confession: I definitely sometimes prepare topics of discussion for later conversations. ESPECIALLY for a sit-down meal. I listen to NPR religiously in the morning (I know…I’m boring and 80 years old) and try to hold on to topics of interest to talk about with people. I read lots of articles, watch plenty of movies and converse with my dog on a daily basis and I think these daily activities are fun to talk about with other people. Lively discussion is a way of relating to people. Is it so strange to sharpen you mastery of relating? I also happen to think that it is just a sign of good social skills and dining etiquette to know the art of conversation. I don’t think it’s forced – not unless you do all the things I listed JUST for the sake of conversation. No. Don’t do that – that’s creepy. I also think asking questions that are open-ended and inquisitive, rather than warranting just a yes or no sort of answer is also demonstrative of deft conversation skills. This is all probably too old-school of a thought and you are all thinking I’m insane. Well – when you have to endure a painful lull in conversation in a social or dining situation, you’ll remember me! Do you dabble in the art of conversation? Are you a connoisseur of dining decorum? Thoughts? Also – have some good reads! Have you discovered the author Ron Rash? No? Please go out and buy one of his novels now. His prose is poetic and resonates of the human condition, all the while portraying the beautiful, looming scenery of the Appalachian Mountains. Is the whole ‘gluten free‘ diet a fad? What are the facts?Should this movement of the lack of soft, springy carbohydrates be shunned or embraced? Do you enjoy oatmeal? I’m absolutely insane about oats in almost any form. Did you know it could cure cancer? Only joking. It is really good for you, though. Oh, David Bowie. We’ll miss your awesome weirdness. 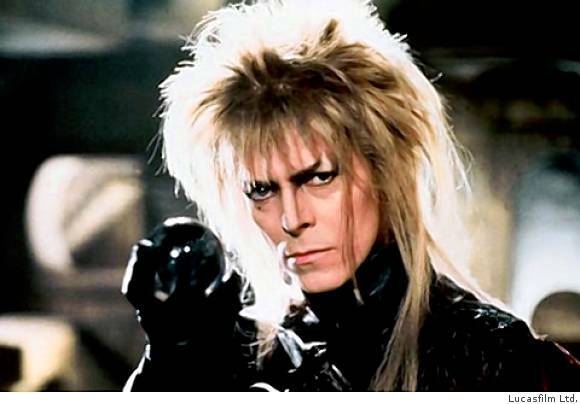 Another confession: I had the hots for the Goblin King. Here is a collection of awesome Bowie photographs and the thoughts photographers who worked with him. When you hear the words ‘one pot cooking,’ do you think of slow cookers filled with pot roast? Do you think of gargantuan dutch ovens brimming with chili? East-meets-west, fusion chef Ming Tsai adds the wok to that picture. Are you a fan of the Nicholas Sparks romance-tragedy empire? Yes, you are. Don’t lie. Have you ever wondered why it’s so dang successful? There are only so many times someone’s lover can die of cancer before your tear ducts explode. Did you get to see Leo’s new movie, The Revenant? The director Alejandro G. Iñárritu used exciting filming techniques and the movie is actually based on a true story!